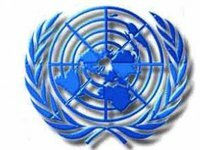 The UN monitoring mission on human rights in Ukraine notes that the draft law on securing Ukraine's sovereignty over the temporarily occupied territories of Donetsk and Luhansk regions (No. 7163) lacks clarity in the issue of regulatory and legal support for the protection of the rights and freedoms of the population of the uncontrolled part of Donbas. "Although legislation applying to Crimea is mentioned as forming the legal basis for human rights protection in eastern Ukraine, its transposition appears to require adjustments without which the legal certainty requirement may not be satisfied," the 20th report on the human rights situation in Ukraine by Office of the United Nations High Commissioner for Human Rights, presented in Kyiv on Tuesday, reads. OHCHR also has concerns regarding the provision proclaiming blanket non-recognition of acts issued in the territory not under Government control, and urges that, in order to guarantee legal recognition of persons living in these areas, at a minimum that the procedure of recognition of the facts of birth and death occurring in such territories be continued. "OHCHR takes note of the intention of the legislator to define, in legally binding terms, the conflict in eastern Ukraine. At the same time, it underlines that this position should not be used to impose a narrative - and introduce legal sanctions - restricting the freedom of opinion and expression," the report reads.